On September 20th 2015 Joe Rock and The All Stars were proud to donate their services playing at Dee Snider’s Ride to benefit Long Island Cares. If you missed it or if you were there and want to relive a little bit of it check out this wrap up video here. We look forward to doing this again in 2016!!! On Thursday October 1st 2015 Joe Rock was asked to appear as a guest on The Absolute Awesome Show with Punk band The Huntingtons. The show is described as “Rockers with computers talking nonsense”. Also on the show was CJ Ramone. Watch the show here and see what you think. As fall has arrived and winter is not far behind you want to make sure that you are attired correctly for the weather. 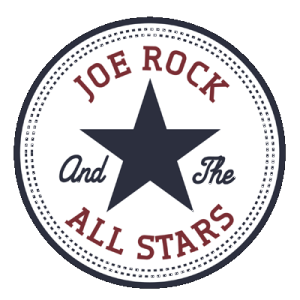 Today we placed an order for Joe Rock and The All Stars long sleeve shirts. Keep an eye on the shop for when they arrive http://joe-rock.com/shop/ They will be $15 plus shipping and they will have our logo pictured here. .